The Daemons of Devil’s End: A Doctor Who Classic and its Legacy | Warped Factor - Words in the Key of Geek. We take a look at back at a Doctor Who classic and its legacy. And so begins The Daemons, one of the best-loved serials of classic Doctor Who. The Third Doctor himself Jon Pertwee, cites this story as his own personal favourite and it’s not hard to see why. 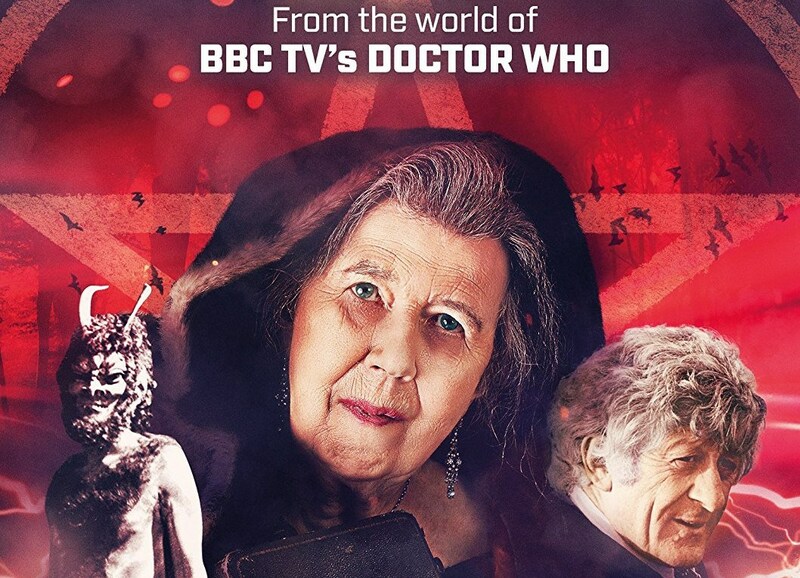 Featuring many of the characters and elements that defined his four-year stint in the TARDIS, it also offers something rather novel for the time, a Whovian spin on Britain’s occult heritage. This gothic themed story has found its place in the heart of cast and fans alike. Much like the great time traveller himself, the legacy of The Daemons has spanned the decades. 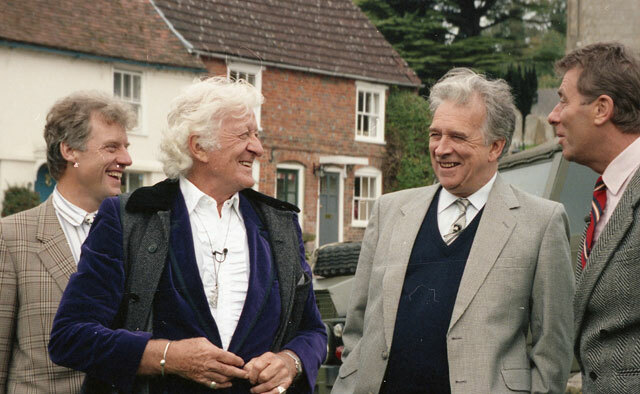 The five part serial adventure first aired in 1971, after which its reputation steadily grew culminating in the cast returning to the village of Aldbourne (aka Devil’s End) for a 1993 reunion, Return to Devil’s End. The good Doctor himself Jon Pertwee was on hand for this much-loved documentary and he was joined by director Christopher Barry and actors Nicholas Courtney (The Brigadier), John Levine (Sgt. Benton), and Richard Franklin (Capt. Yates). Then, eleven years later, Daemos Rising arrived. A sequel to the original serial it featured a new Daemon attempting a return to earth and it’s up to Kate Lethbridge-Stewart to take up her father’s mantle and save the planet from certain doom. To celebrate the release of The White Witch of Devil’s End, which includes the long-awaited DVD release of classic documentary Return to Devil’s End along with a raft of special features, we’re taking a look back at the perfect storm of elements that made The Daemons so special. The era of the Fourth Doctor, Tom Baker, was defined by the gothic storytelling of adventures such as The Talons of Weng Chang, The Pyramids of Mars and The Terror of Fang Rock, but when The Daemons was released nothing quite like it had yet been seen in the world of Doctor Who. 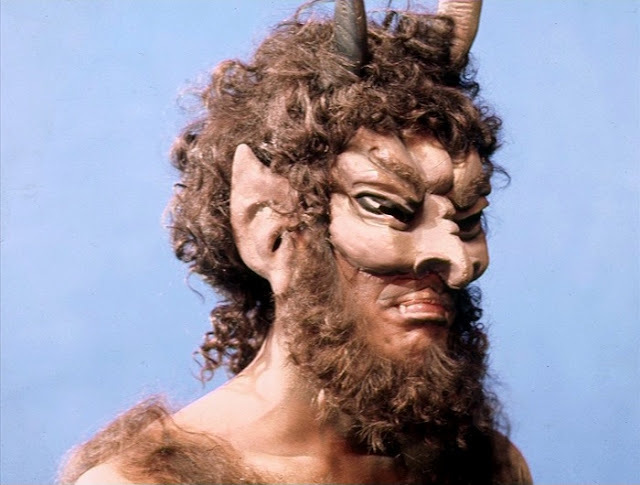 The idea to do an episode dabbling in black magic came from the mind of show producer Barry Letts, however there were some reservations that it would be just a little bit too scary, and also might offend with its ‘Satanist’ concept. For this reasons certain concessions were made and the story was reworked with a scientific explanation behind the onscreen sorcery and the iconic crypt setting only ever being referred to as ‘the cavern’. With his velvet smoking jacket and karate chops (or Venusian Aikido chops, to be exact), the Third Doctor, as portrayed by Jon Pertwee, was often described as a suave and sophisticated man of action. Exiled to earth throughout much of his run, the Doctor found himself a position with military organisation UNIT (United Nations Intelligence Taskforce) as a scientific advisor where he would help the group tackle all manner of earth based threats including Autons, Silurians and Sontarans. 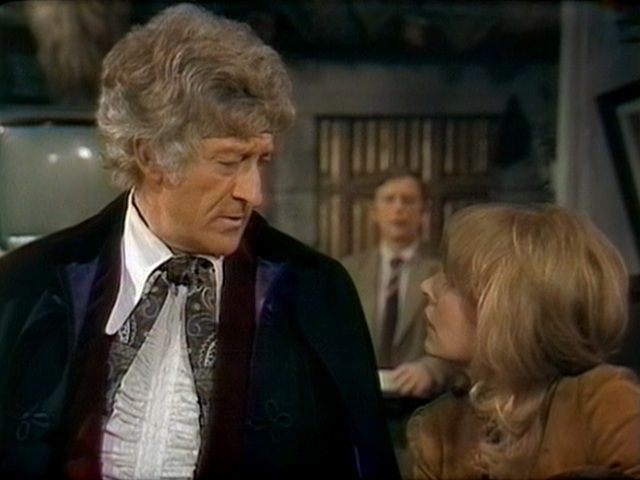 In The Daemons the Third Doctor’s traits as a sharply science minded man come to the fore when he scoffs at assistant Jo Grant’s idea of magic. Later he goes on to use the villager’s beliefs in sorcery to get out of a scrape by using his own technological marvel, the iconic car Bessie which appears to move with a mind of its own. The Master made his first appearance early on in the Third Doctors’ run and the renegade Time Lord quickly cemented his place as one of The Doctor’s greatest adversaries and principle returning villains. Possessing all the intelligence and abilities of the Doctor but with a wicked desire to be master over all the universe, his Machiavellian schemes would test the the Doctor’s limits time and time again. 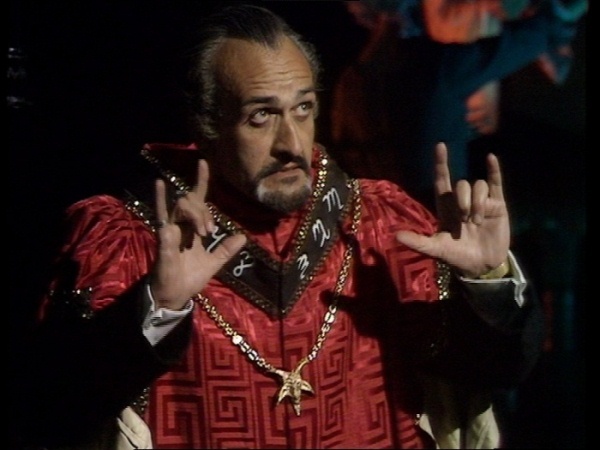 The Master, as played by Roger Delgado, always had an air of the Devilish about him with his all-black wardrobe, sharp features and pointed goatee, and so he looked right at home incanting dark summons in front of an elaborately adorned alter in the The Daemons. When his fellow Time Lords exiled their wayward brother to earth The Doctor found himself a new group of friends and colleagues within military outfit UNIT. The gang was run by The Brigadier and ably supported by Sgt. Benton, Capt. Yates and Doctor’s assistant Jo Grant. The Daemons gave ample screen time to all members in an episode filled with car chases, firefights and helicopter action. she refuses to be overcome by The Masters’ mind-control ability like the rest of her village. The little village of Devil’s End, actually Aldbourne, Wiltshire in England’s southwest, is a charming place where locals gather in the church on the green on a Sunday and at the pub for the rest of the week... that is until the master takes over as the new vicar. In an era when Hammer horror films were still going strong, the gothic crypt set, complete with alters and robed acolytes, provided a timely TV alternative to the big screens occult thrills. Above ground the Doctor runs afoul of the village May Day celebrations when he’s tied to a May Pole by the brainwashed villagers as the episode offers a quaint snapshot of rural England.